Daaaaaaaamn! That’s a big hill. We will get to that in a moment. When I studied abroad in London, my friends and I were going to visit Scotland for two reasons. The first was to stalk Prince William at St. Andrews University and the second was to find Nessy – the infamous Loch Ness Monster. We opted to visit Venice instead – which left me wondering if I should have been the Duchess instead of the adorably sweet Kate…<sigh>. I guess we’ll never know. If I’m heading to Edinburgh, I’m going to stop first in London on my way and knock out the letter “L”. But if you don’t have time to, you can easily hop a flight into Edinburgh International (EDI) out of any of the NYC airports. To save money, you might want to choose a layover flight that typically stops in Dublin for a brief period of time which would make your total travel time 9/10 hours long versus 7hrs of direct. Be sure to hit an ATM to withdraw money before leaving the airport. The currency is the pound. Taxi – a cab to the city center takes about 20 minutes and costs about £20-30-. 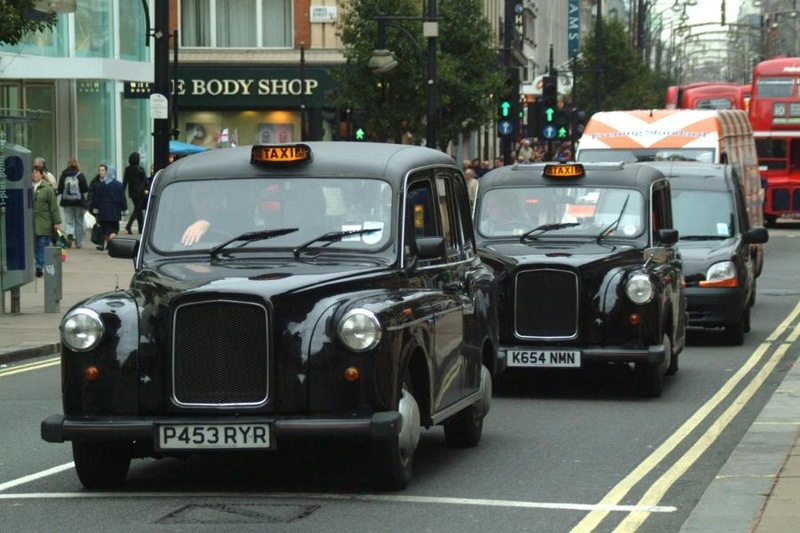 Taxis are usually easy to find: look for black cabs, with amber lights indicating they are available. 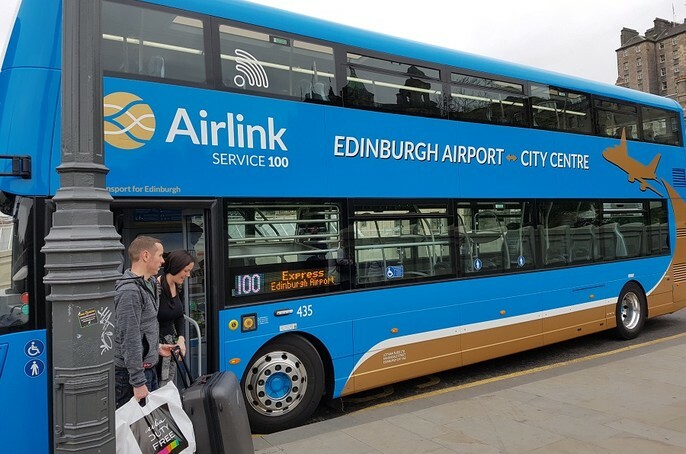 Airlink Shuttle – they run a shuttle to Waverley Steps that takes 30 minutes and costs £3.50 one-way or £6.00 return. 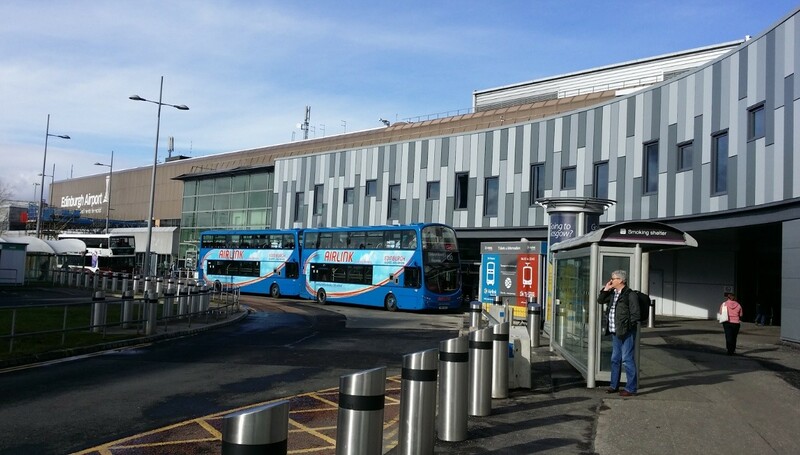 Buses – run every 15 minutes throughout the day, and pick up/drop off outside Haymarket station, in Shandwick Place (West End), and on the bridge to the West of Waverley Station. 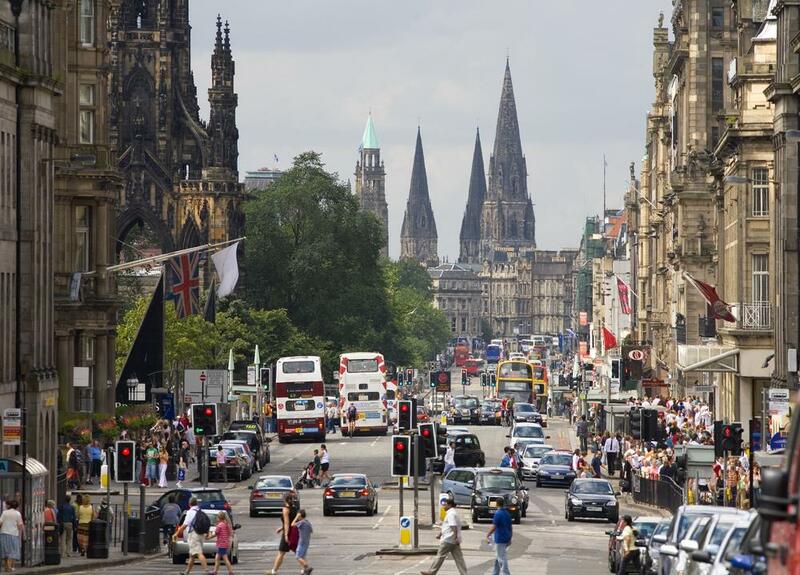 Walking – One of the best and most enjoyable ways to discover Edinburgh and get around the city is on foot. 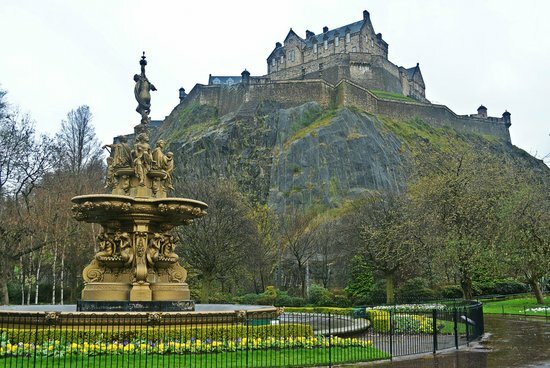 Walking from the center of the city on Princes Street, it takes only 20-30 minutes or so to reach venues as far afield as the Royal Botanic Garden in the north of the city, the King’s Theatre in the south-west and George Square in the south-east. Venues outside of center city, such as The Shore in Leith, can be reached with a comfortable 45 minute walk. Of course, whether you want to walk, might be dependent on Edinburgh’s famously changeable weather! See more below. Bus – Edinburgh’s extensive bus routes cover the entire city and its outskirts. The Night Bus services will help you get to your accommodation even in the wee small hours. Tickets can be bought on board each bus, although bear in mind that Lothian Buses do not offer change, so having the correct money ready before the bus arrives is advised. 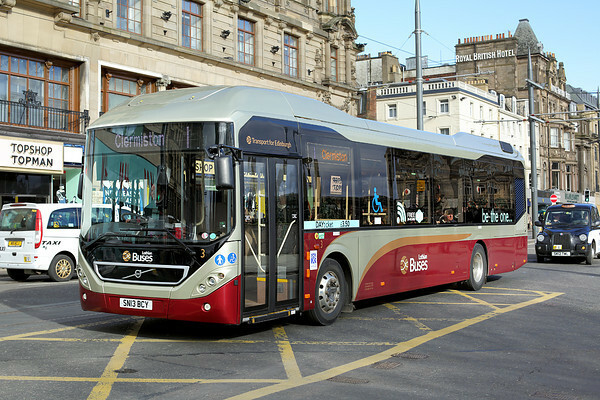 For more information on Edinburgh’s bus services visit lothianbuses.com where you can also find out about apps to help you plan your journey and pinpoint when your next connection will arrive. Taxi’s – Black cabs and other taxi services are available throughout the city. The traditional taxi (usually black, but not always) can be picked up at one of the city’s many taxi ranks or flagged down on the street.Taxi fares are calculated on distance and waiting times and a taxi ride across the city can cost between £5 and £15. For short journeys at busy traffic periods it can often be quicker to walk. 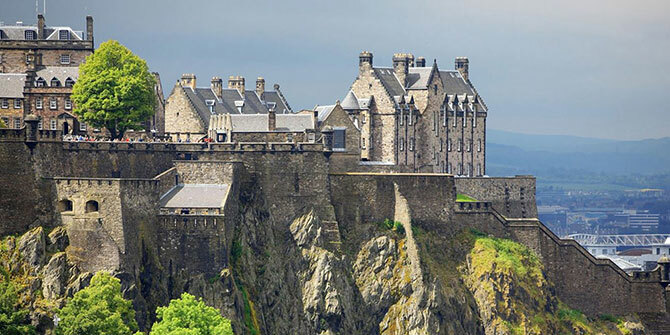 Edinburgh Castle – it has dominated the skyline for centuries and is part of the Old and New Towns of Edinburgh’s World Heritage Site. The Castle’s powerful stone walls have withstood many sieges and its sumptuous apartments were an important residence of Scottish Kings and Queens. Today, countless treasures are protected by the Castle walls. Marvel at the nation’s Crown Jewels, smell the gunpowder after the One o’clock Gun fires, hear the Castle’s great story on a guided tour and taste Scottish produce in the cafés. With more than a million visitors a year, from across the globe, the Castle offers a fabulous day out – an experience not to be missed. The castle is open between 9:30am-6pm most days. Kids under 5 get in for free where 5-15yrs old pay £11.50 and adults pay £18.50. You can save a few euro with advance purchase! Waverley, in Edinburgh’s center, is the main station closest to the castle and can be seen from the exits. From Princes Street, go up Waverley Bridge, The Mound, Mound Place, Ramsay Lane to the castle esplanade. First of all, be prepared – Edinburgh’s weather is always changing. It could be a gorgeous summer day that can become an incredible downpour in minutes…and then back to beautiful. For rainy days and nights, take advantage of Edinburgh’s excellent public transportation systems, and use the weather as a perfect excuse to drop in to one of the Scottish capital’s many great cafes, bistros and pubs for something warm and delicious.